This is my favorite image from our autumn 2013 trip to Michigan’s Upper Peninsula. Wagner Falls is amazing. It’s not the biggest waterfall, but I love the arrangement of rocks. The green moss just behind the lower waterfall is a really pretty aspect as well. In this particular image, I like how the area upstream just has a little bit extra lighting as it fades into the horizon. 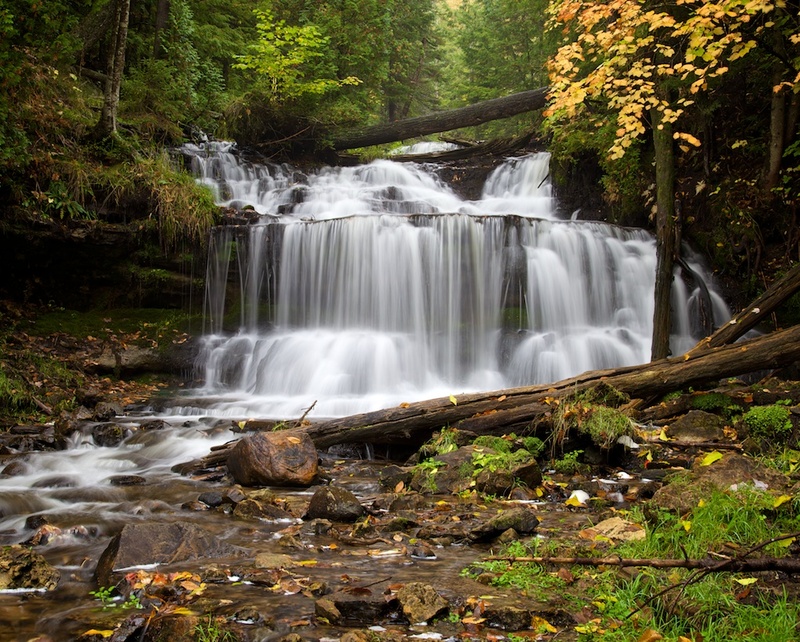 Published October 12, 2013 at 1024 × 822 in Wagner Falls.